It is funny how life has a way of making us work for the things we really believe in. I guess if it was an easy, simple path the lessons learned would not be nearly as great and perhaps the reward would not be as sweet. As I have mentioned in previous posts our school is moving toward digital portfolios for all teachers and students. This seems like it might be a simple idea, but it is actually quite a bit more complicated than I could have anticipated. When I was thinking ahead to roadblocks that might get in our way I considered things like time. Teachers are busy people and I knew another add on to what we were already doing was not going to be well received. We have to think of ways to fit it in naturally while we change our current practices, rather than add it on to the top of an already insurmountable hill. Another roadblock we considered was the best tool to use. We wanted something that would show student growth over time, be able to move with them and would be available to them outside of our building as well as in. We for sure want our students to have a place to showcase their own passions and interests. Most of our teachers already had WordPress blogs, so we decided to use EduBlogs because the two work together and can easily be joined. The EduBlogs (Campus Press) company has been awesome to work with. So accommodating! We have asked a lot of questions and maybe pushed the envelope a little bit to fit our needs. I can’t say enough good things about Campus Press. One of the other roadblocks we needed to find a way around was what was going to work best for our kindergarten to grade 2 students and teachers. I have been so proud of these teachers, because I know they have to most to think about in this project. I teach grade 6 myself and already blog, so I know exactly how this will fit into my teaching life. They have taken the news in their stride and are already considering how it might fit in. 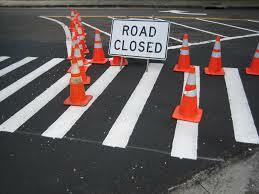 Even with the best planning we can come against road blocks that we have not anticipated. Right now we are trying to find a path around an IT roadblock that would fall into this category. It is not anyone’s fault, but it is requiring some creative pathway thinking on our part. We do not want to lose our momentum, so we will have to figure it out. Once again Campus Press is more than willing to help us. Wow they have been wonderful! I have to admit I do get a little discouraged sometimes when my passion for student learning in our digital world is not met with my level of excitement. I do understand that I can be over the top and a bit hard to take when it comes to my passions. After spending a few years with me, my teachers are getting used to me and my crazy ideas I hope. After running into our latest roadblock, but first reaction after I hung up the phone was discouragement. I sat quietly in my office for a few minutes before my brain shifted back into high gear. I could not go back to my teachers and tell them we would have to delay, so we needed to come up with a solution. Life is like that, don’t you think? It has a way of keeping us on our toes. There are many paths to get us to our destination. If it is important enough to us and to our students we need to revisit the map countless times if necessary. Right now I will keep learning, unlearning and relearning to make sure we get there.